Goodbye plain. Hello plain awesome. 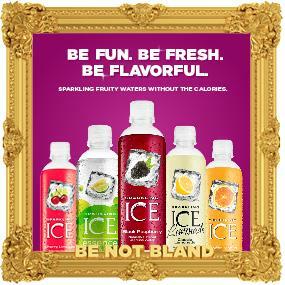 Sparkling Ice® is a fizzy, flavorful, and Not Bland beverage—without all the calories. We’ve been bottling sparkling water goodness since the 1990s, and today, we’re one of the biggest brands in the category. If you’re looking to put a little sparkle in your step, look no further than our delicious lineup of waters. With over 20 fruit flavors, you’re pretty much guaranteed to find the one for you. Or two. Or six. Seriously, they’re that good. Go ahead, try one today. You can thank us later. Drink Not Bland! Be Not Bland! 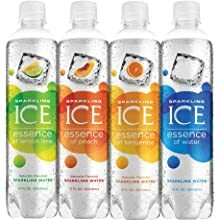 Sparkling Ice. 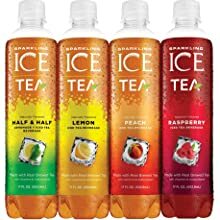 One of the first created in the Pacific Northwest in the early 1990’s, Sparkling Ice makes a portfolio of Refreshingly Bold sparkling waters, teas and lemonades. 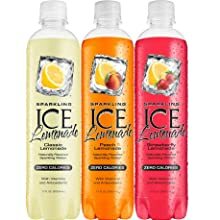 Bursting with real fruit flavor and just the right amount of fizz, Sparkling Ice delivers over 20 irresistible fruit combinations, without all the calories. 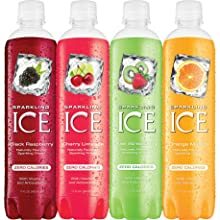 Sparkling Ice gives you that bold lift that satisfies the everyday desire for something new, something different, something more - more fun, more flavor, more variety, more of everything you want and nothing that you don't. Isn't that refreshing? Peach Nectarine, Strawberry Watermelon and Cherry Limeade. Flavors: Half and Half, Peach, Raspberry and Lemon. Flavors: Classic, Strawberry and Peach. Flavors: Lemon Lime, Peach, Tangerine, Water.